We are three weeks into this bathroom remodel and nothing is pretty yet. But we are getting closer. I know this picture does not look like much, but it is the beginning of the new bathroom. The demolition took about 2 weeks. And for the last several days we have been working with this concrete backer board. 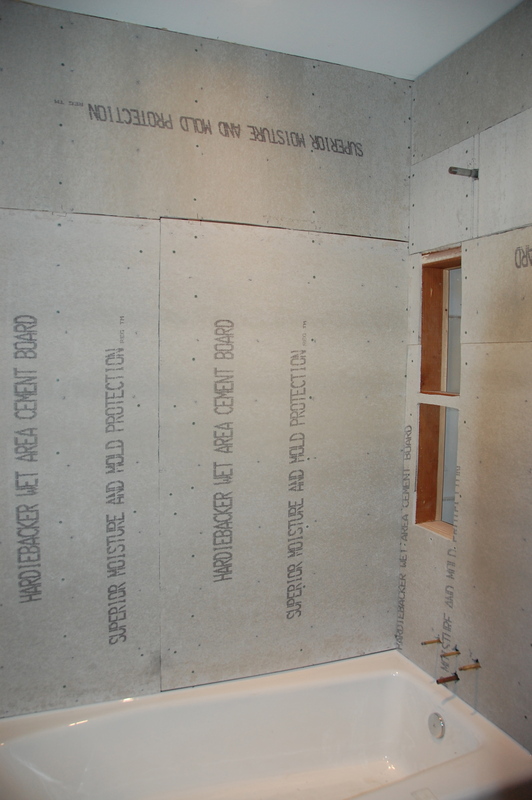 It is basically sheetrock for a shower. Scott’s one liner after all this work is, “concrete backer board blows.” And it does. It gets dust everywhere. And it dulls the saw blades–we probably went through 25. And it is brittle and breaks easily. It has caused some expletives to escape as well as some of Scott’s best expletive alternatives. His alternatives are the best because each is a very random collection of words that most of the time begins with “mother.” “mother of pearl” is a good one, but they can be as weird as, “mother of enchilada Sundays.” They make zero sense but are funny each and every time. 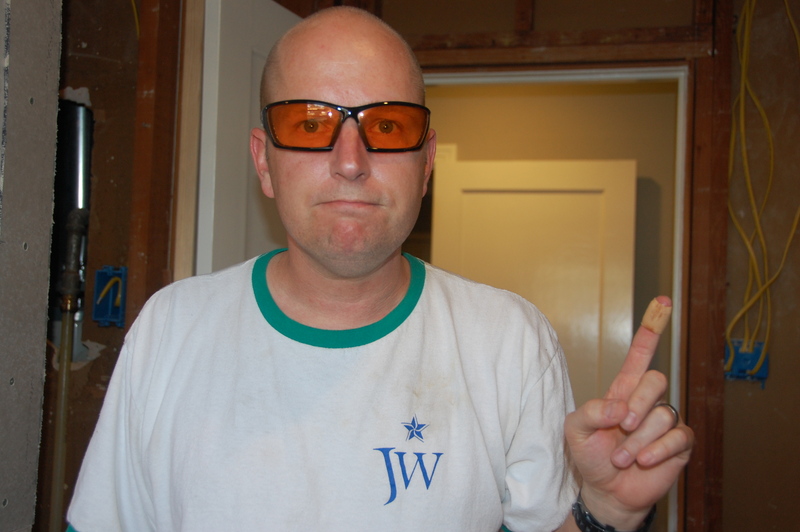 We called it quits Sunday evening when our drill bit broke and sliced Scott’s hand. This is his sad face, which doesn’t really look sad at all–just sort of strange. 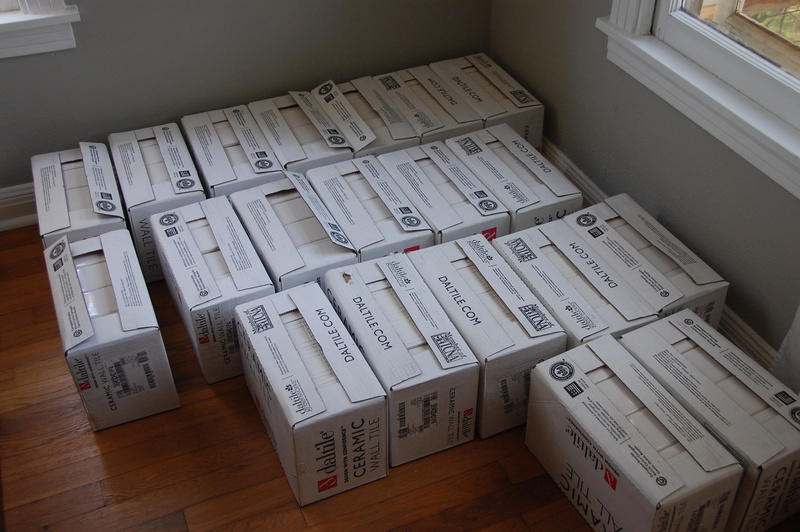 In other news, we think we have all of the supplies we need to finish the project, including 20 boxes of subway tile. Surely we won’t use it all. Our sink comes Monday. Our vanity lights came this weekend. Hardware is in the mail. This is exciting! One item for discussion is whether to paint the door (on both sides). 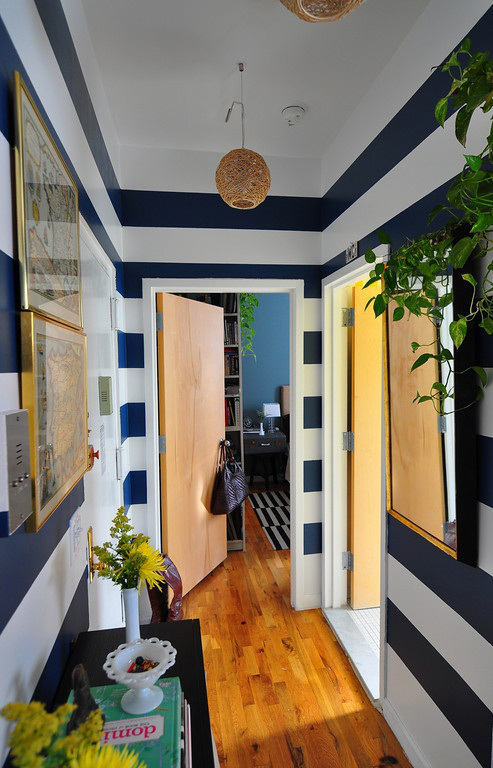 I like the idea of having a totally black and white space (with gray walls) but with a surprising door, for two reasons. First, it would be a surprise. Second, I would love to direct people to the bathroom by saying, “go to the yellow door.” I am not set on yellow but am trying to convince Scott that this would be neat. Thoughts? Both images above are from The Doodle House. 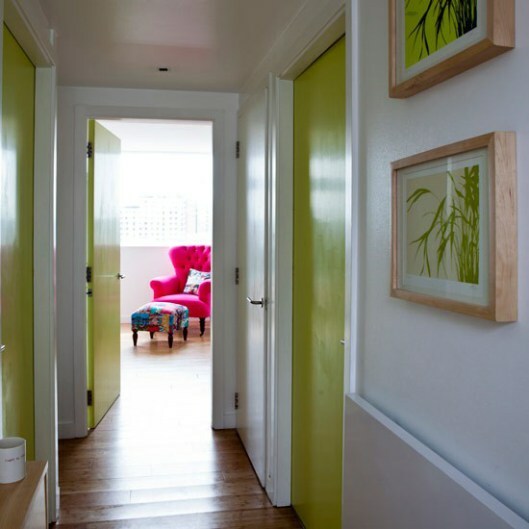 Absolutely, bright color for the door would be awesome!